“Dental and Public health administrators should be aware of the total fluoride exposure in the population before introducing any additional fluoride program,” reported the World Health Organization in 1994 (i). But have they? Since 1940, more and more individuals have begun consuming fluoridated water. Often times, that water is disguised in processed soft drinks, juices, and oral health products like toothpaste and mouth rinse. With consumption and adverse side effects on the rise, Miami dentists are beginning to caution patients to pay more attention to everyday products that may be contributing to fluoride overload. The adverse side effects of ingesting too much fluoride are beginning to become more apparent. The Center for Disease Control has released studies indicating that the rate of fluorosis among children ages 12-15 has doubled since the 1980s. To learn more about fluorosis, please visit our Miami Dentist Blog article Miami Dentistry News: Government Recommends Less Fluoride. There, you will find basic information on fluoride, as well as a Frequently Asked Questions column on fluorosis. We must first identify the most common forms of fluoride before we can take steps to limit ingestion. Unfortunately, fluoride finds its way into a number of consumable products because it is contained in public drinking water. Public water, as you may have guesses, is likewise used in a range of different products. In this way, the typical American may ingest quite a bit of fluoride over the course of a day simply by drinking tap water in the morning, some bottled juice at lunch, and using fluoridated toothpaste at night. Toothpaste: Most consumers do not know that toothpaste may contain up to 1,000 times the fluoride content of public water. 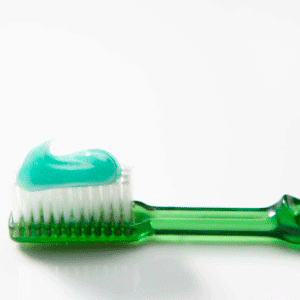 When used nightly, fluoridated toothpaste may easily become the biggest contributor to fluorosis. Juice: Bottled juice may contain substantial amounts of fluoride because it is often made with fluoridated water. Soda: “Seventy-one percent of the sodas had fluoride levels exceeding 0.6 ppm,” reported the Journal of the American Dental Association. This is on par with public drinking water, which contains about 1 ppm. Mouth Rinse: Mouth rinse may contain upward of 500 ppm fluoride, about 500 times the amount determined to be safe and beneficial in public drinking water. Regular use of fluoridated mouth rinse is a large contributor to fluorosis, second only to heavily fluoridated toothpaste. Fluoridated Salt: Even table salt is becoming fluoridated, with concentrations climbing upwards of 200 ppm. While the U.S. and Canada do not yet have fluoridated salt programs, the practice is becoming widespread in parts of Europe and Central America. U.S. residents are cautioned to limit salt intake while traveling to these countries. The danger associated with ingesting too much fluoride has been a holistic dentistry concern for many years. The topic is just now receiving the attention of the masses, thanks in part to a Wall Street Journal story on the increase in fluorosis among children. When searching for a dentist in Miami, you may want to consider visiting a holistic dentist who practices fluoride-free dentistry. Holistic dental professionals are well versed in fluoride toxicology, and they may help you to limit exposure to fluoride through simple lifestyle changes. Choosing the right types of water, toothpastes, and mouth rinses, for example, may greatly reduce fluoride ingestion and improve overall health!